Home Pool Do you really need a breaking cue? 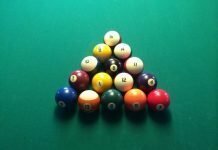 Do you really need a breaking cue? If you’re reading this, you may be on the fence about whether you need a breaking cue to improve your pool game. 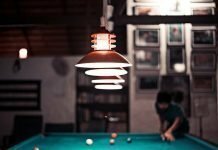 While these specialty pool cues can have a big impact on the quality of your breaks, they’re not necessary for everyone. 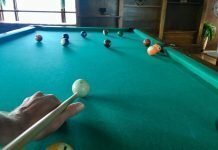 In this post, I’ll try to break down why you may or may not want to include a breaking cue in your pool cue arsenal. Breaking is one of the most important aspects of playing pool. A fast, precise and powerful break can set you up for success on the table. A strong break is also the first sign that you’re up against a good pool player. Some of these players use a special breaking cue to smash the rack. Yet many serious pool players just use regular playing cues to produce similar results with finesse, wrist action, speed and power. So, what’s the point of having a cue that’s just for breaking? Is it really necessary or just a nice addition to your growing collection of specialty pool cues? Personally, I’ve found that using a breaking cue has made me a much better pool player. For me, the added weight and smoothness of the breaking cue adds a ton of velocity and precision to my breaks. Before using a breaking cue, I struggled with my breaks. Since I play a lot of 8-ball, this was a real weak spot for me. Yet with my breaking cue, I get extra weight with the same acceleration, which equates to more power. The finish on the shaft of my cue is extra sooth and the handle is wrapped in a power producing grip. Plus, I keep my other playing cues in better shape for the long term. And having a nice breaking cue also makes me want to practice more. Unfortunately, just because a breaking cue improved my game doesn’t guarantee results for anyone else. The actual benefits of a breaking pool depend on a couple factors and will vary from player to player. If you’re stuck in a quandary over breaking cues, hopefully the next few questions will help clear things up for you. Do you want (need) more cue weight? Breaking cues are generally heavier than average playing cues. Playing cues typically range in weight from 18 – 21 oz. The average and most common weight is around 19 oz. Breaking cues, on the other hand, usually start at 21 oz. and can weigh over 27 oz. Most players assume that a heavier cue means a more powerful break. For some players (like me), this is definitely true. But only if your stroke speed does not decrease substantially with a heavier cue. The power you generate on a break depends on both speed and weight. If you find the right balance of speed and cue weight, you’re on the right path to a more powerful break. However, if you increase the weight of your cue but decrease acceleration, you will reduce the force of your break. So, the first thing to look at is whether how much, if any, added weight will produce more force. The best method is to try a few different weights, starting with basic playing cues. As you move to breaking cues, pay attention to whether the added weight begins to slow you down and weaken your break. For me, a breaking cue at about 22 oz. made a big difference in my overall power. This weight works for me because I can maintain good acceleration and benefit from added weight to produce more force. It made a big difference in my breaks. But slightly heavier weights produced no go greater power. And at around 25 oz., my break was noticeably weaker. This is why choosing a breaking cue is such a personal decision. It largely depends on how your unique stroke technique, mechanics and speed interact with the weight of the cue. Are You Worried About Damaging Your Other Playing Cue(s)? One of the main reasons players opt for a breaking cue is to avoid wear and tear on their playing cues. Breaking requires more force and has a greater impact on the pool cue’s tip, especially if it is a leather tip. With repeated breaks, the leather tip of a nice cue will mushroom over time. You can always replace the tip, but doing this on a regular basis can be a pain. It can also become costly if you play with expensive cues. Over time, frequent hard breaks can also damage the pool cue shaft and joints. If this is a concern, you can purchase a heavy duty breaking cue (keeping the weight-to-speed balance in mind) with durable materials and features like fiber ferules, handle wraps and joint protectors. And your expensive playing cues will last much longer. Do you play a lot of 8-ball (or other power break games)? The game of 8-ball requires a more forceful break to disperse the rack. Frequent breaks like this can do some damage to your cues. For serious 8-ball players, a breaking cue is essential. And once you find that speed-to-weight sweet spot, you’ll win more games. Breaking cues are not just for 8-ball players, though. Powerful 9-ball players also like to break really hard to set the game in motion and begin a run. If this is your style, you should consider a breaking cue. 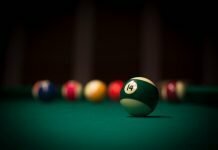 Finally, keep in mind that most billiards games require that you at least drive the cue ball and two object balls to the cushions for a legal break, so an effective and powerful break is always an important element in a game of pool. 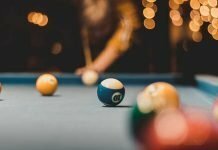 If you answered yes to any of the above questions and are serious about your pool game then you should probably at least consider purchasing a breaking cue. Fortunately, breaking cues are generally less expensive than high quality playing cues and will also prolong the life of those cues. And if you are able to find the right balance of speed, weight and durability, as I have, it can really improve your breaks and overall billiards game. As an added bonus, breaking cues also look pretty cool.